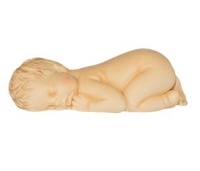 This beautiful, life-like Baby mold measures 3 1/8” x 1 ½” x 1 ¼”. 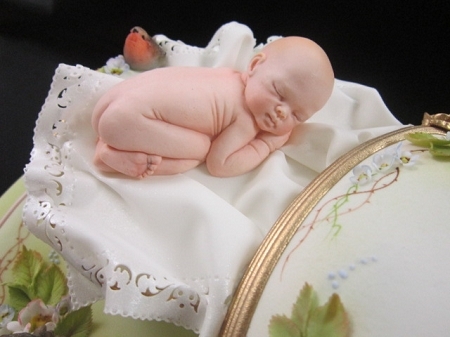 This hand sculpted Baby is more than just a mold, it’s a genuine piece of art, which was created by Ros Schramm of Australia. Through many days of delicate work, Ros was able to hand craft this incredible Baby out of clay, which was then molded by Pablo De La Pava of ClearView Molds. The finished sugar Baby was created by Nhora De La Pava.